This past Thanksgiving weekend offered the best football of the season and one of the better weekends of quality football in memory. This was not just in the NFL, but also the fantastic college games on Saturday, highlighted by Auburn’s incredible win over Alabama in the “iron bowl”. With one second left, Auburn’s Chris Davis returned a missed field goal 108 yards to knock off the two-time defending National Champion Crimson Tide and make next week’s conference championship games actually mean something. Friday and Saturday’s college action was sandwiched between the super-sized NFL weekend, which began with three with three games on Thanksgiving. The highlights on Thursday were the Detroit’s impressive victory over Green Bay, where the Lions established their claim to the top of the NFC North and another classic between the Baltimore Ravens and Pittsburgh Steelers in the AFC North. On Sunday, the New England Patriots executed their second straight come-from-behind, 34-31 victory, while Philadelphia topped Arizona in a battle between two of the hottest teams in the league. Even the games between teams further down the standings turned out to be highly entertaining. These included the Jacksonville-Cleveland thriller and the overtime domed games between Chicago and Minnesota and Atlanta and Buffalo (in Toronto). Of course, the highlight on Sunday was the first place AFC West showdown between the Denver Broncos and Kansas City Chiefs. 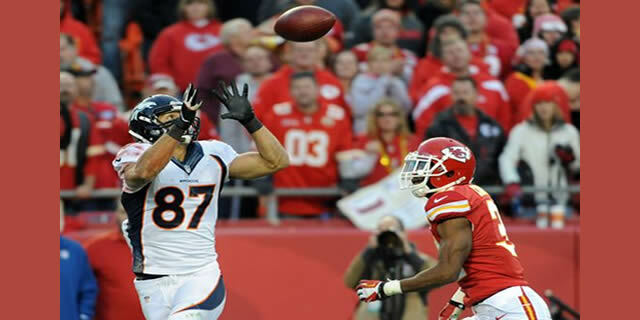 Here, a back and forth contest took place in front of some of the greatest fans in Kansas City but it was Peyton Manning and Eric Decker of the Broncos who really shined in this game. 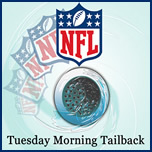 Manning threw five touchdowns, four to Decker, and the Broncos maintained the top spot in the AFC through twelve games. OK, the New Orleans-Seattle showdown in the NFC was far short of competitive, but you can’t have it all. These past five days were still bliss for any real fan. There is still a quarter of the regular season to go, so there will be more really important and really unimportant games that will take place. But it is unlikely any weekend prior to the playoffs will surpass this past weekend.